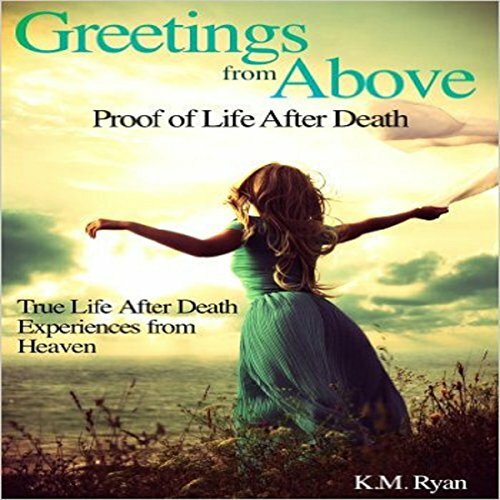 Love never dies, and Greetings from Above: Proof of Life After Death relates 107 true personal short stories of after-death communications and personal encounters between deceased loved ones and those left behind. It seeks to provide comfort, healing, and hope to people who have lost loved ones to death. Death affects every person, religion, and culture. Survivors who receive signs from deceased loved ones may not allow themselves to fully recognize that they really are actual signs. They may believe these signs are all in their heads and dismiss them. The recipients of these proof of afterlife signs are often embarrassed to tell others their experiences or ask people if they, too, have received signs. Greetings from Above: Proof of Life After Death seeks to provide solace to the grieving, offer reassurance that their loved ones are fine, are still with them and are watching over them while they continue to love them as they did when they were on earth. These life-after-death stories seeks to offer comfort and reassurance to the grieving allowing them to heal, experience peace, and move forward with their lives while recognizing that their loved ones are still with them. The book aligns with Catholics' communion of saints, appeals to both spiritual and religious persons, and pertains to the Resurrection, human love, and eternal life. Greetings from Above: Proof of Life After Death is perfect for hospital chaplains, bereavement ministry members, spiritual directors, care givers for the elderly, the terminally ill, psychologists, psychiatrists, counselors, and everyone who has lost a family member or friend through death.